Sara Kay Gallery’s programming emphasizes the intersection of multivarious art historical periods and movements, and a commitment to the support of female artists. Sara Kay also specializes in the sale of 20th century blue-chip and contemporary artworks. The gallery serves as a meeting place for critical dialogue, collaboration and community, offering events, workshops, and performances, as well as, working residencies for female artists. With nearly 20 years of experience and a diverse background that includes conservation, museum, auction, gallery and non-profit, Sara is considered both an industry specialist and a tastemaker. Prior to founding her gallery in 2017, Sara was Director of the globally renowned contemporary art gallery, White Cube in London. Formerly, she served as Director of the Fine Art Department at the Jan Krugier Gallery, which was the exclusive agent for work by Pablo Picasso from the Marina Picasso Estate, as well as a leader in 19th and 20th century painting, drawing and sculpture. Previously, Sara served as a Specialist in Old Master Drawings at Christie’s auction house, leading the New York department. Sara is the Founder and Chairman of the Board of Directors of the Professional Organization for Women in the Arts (POWarts), a nationally recognized 501(c)(3) that champions professionalism and the advancement of women in the business of fine art. 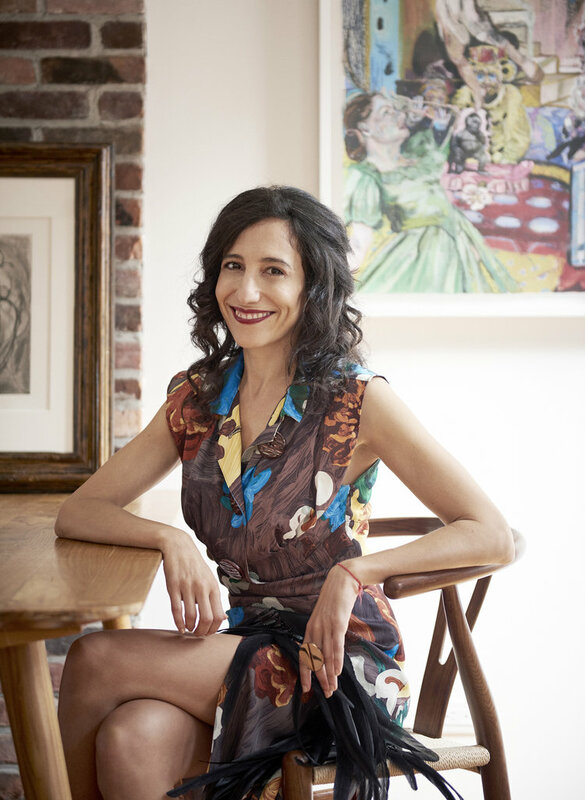 Sara has lectured extensively on the topic of collecting and the art market and serves as an Adjunct Faculty member at the Sotheby’s Institute of Art’s M.A. Art Business Program offering discourse on the subjects of best business practice and career development. In 2015, Sara was awarded Parmigiani Fleurier’s Women of Exception prize for her professional distinctions and philanthropy. Sara Kay. Courtesy of Ungano + Agriodimas.